Allergies? Food Sensitivities?.... We've got you covered! That's right! We know that many people out there struggle with food sensitivities and allergies, but we've got you covered! Taffy Shop salt water taffy is 100% Gluten FREE! Yep! 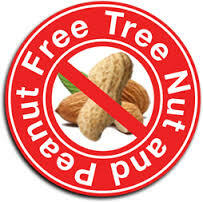 Even our Peanut Butter and Peanut Butter & Jelly flavors are nut free! Missing that peanut butter flavor but can't have peanuts or tree nuts?.....We've got you covered! Our taffy meets these needs and requirements as well!...We've got you covered! **As always, it's best practice to consult your physician on all of your personal dietary requirements and needs.